Our regular class schedule is Monday-Wednesday-Friday , 7.30 - 9.30 PM. We also train on Saturdays and Sundays when not competing on weekends. For more exact info, check out our Facebook page at Hollywood Judo Dojo, where we update weekly. If you want to join our club, just show up at 7 pm on a Monday, Wednesday or Friday. Our fees are ; Membership $40 per month. You also need to be a member of our Japanese Cultural Institute, $ 20 per Year, as well as being a member of the United States Judo Federation $ 50 per Year. We have all the paper work here at the Dojo when you sign up. We have beginners as well as high level competitors. Judo classes are available in Los Angeles for children and adults. Daytime and evening classes offered all year round on various weekdays. Please contact Hollywood Judo Dojo for exact class hours for different age groups. Would you like more information on hours, classes and programs available at Hollywood Judo Dojo? Please contact the school with your questions. 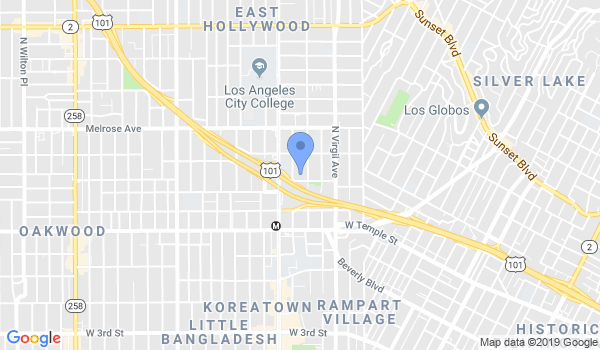 If you are associated with Hollywood Judo Dojo in Los Angeles, CA, please add additional information to this page like school's Website, class schedule, school introduction and more. There is no cost. Update this Page. Please call 323-666-8146 during business hours to contact Hollywood Judo Dojo. View all Dojo in Los Angeles or in Zip code 90004.